From the extensive list of musicians involved in this recording, it is safe to refer to Glory To God In The Highest as “fully budgeted.” Group pianist Andy Stringfield and recently departed baritone/guitarist Brian Alvey participated in the recording process along with the usual crew of studio musicians from Crossroads. Milton Smith did the orchestrations with additional brass arrangements by Cody McVey. 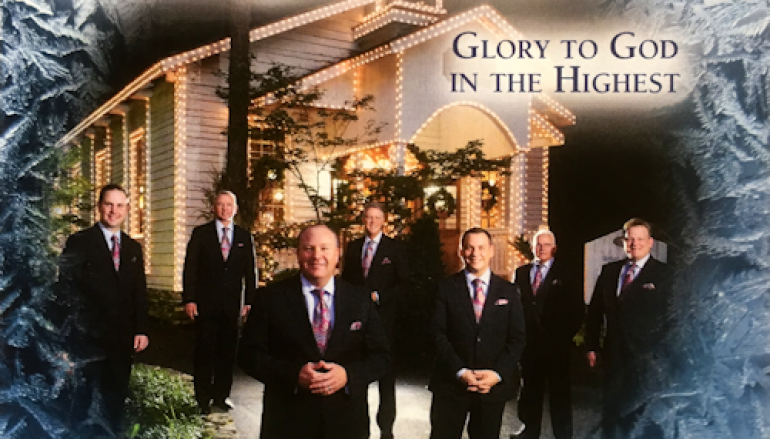 Glory To God In The Highest starts with a remake of an Oak Ridge Boys song titled “Jesus Is Born Today” (Velton Ray Bunch). I should disclose up front that despite being a long-time Oaks fan, I never cared for this song 30+ years ago when I first heard them sing it. I’m still not a fan of the song after hearing the new Kingdom Heirs version. 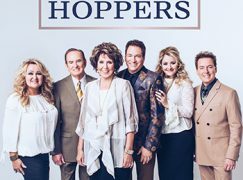 I’m also a long-time fan of the Kingdom Heirs, so clearly it’s just the song that doesn’t do anything for me. It’s a valiant effort, but the rhythm feels awkward, and the lyric is too repetitive. It’s all great from track two and on, though. 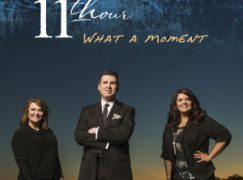 “Glory To God In The Highest” (Daryl K. Williams) has been recorded by several artists over the years, and I believe this version by the Kingdom Heirs might just be the best one yet. They don’t modify the arrangement really, but this blend of voices is (was) something special. Next is a stellar version of “Mary Did You Know?” (Mark Lowry/Buddy Greene) featuring Brian Alvey over an acoustic guitar accompaniment. “Singing To The King” (Dianne Wilkinson) is a happy song in minor key and one of just two brand new songs on this CD. Three secular classics are up next. Chapman’s version of “Have Yourself A Merry Little Christmas” (Ralph Blane/Hugh Martin) is as rich in tone as any bass singer I’ve heard attempt that song. “Christmas Cookies” (Aaron G. Barker) is a fun lyric, and another song that was previously recorded by the Oak Ridge Boys. “Santa Claus Is Coming To Town” gets a big band instrumental treatment aided by background vocals and a spoken bit by Chapman near the end. “The Christmas Wish” (Brian Alvey/Allison Speer) is in a classic crooner style. The highlight of the entire CD is a remake of “The King Of Eternity” (Squire E. Parsons, Jr.) with only Andy Stringfield’s piano for accompaniment. On the second verse, Arthur Rice shows exactly why he’s so often called the best at what he does. The CD concludes with a fresh take on Mariah Carey’s “Jesus, Oh What A Wonderful Child” (Mariah Carey/Walter Afanasieff/Loris Holland) featuring Alvey. Glory To God In The Highest is a solid collection with good production quality throughout and top-notch vocals. I’d like to hear a few more original songs, but considering how many Southern Gospel Christmas recordings offer no new songs, I suppose I should be thankful for two. It’s too bad Alvey parted ways with the Kingdom Heirs before they had a chance to stage any of this material.